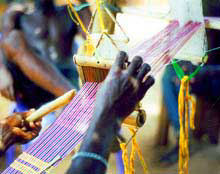 The typical handweave of the EWE nation is called KETEH. The name, litterally, means: "Open-beat". 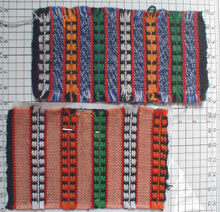 It is also the formula of the most human actions involved by their local handloom. This loom is an overal tool, that involves hands and feets, into a traditional rythme. It's a light art from Africa... not to be taken too lightly.